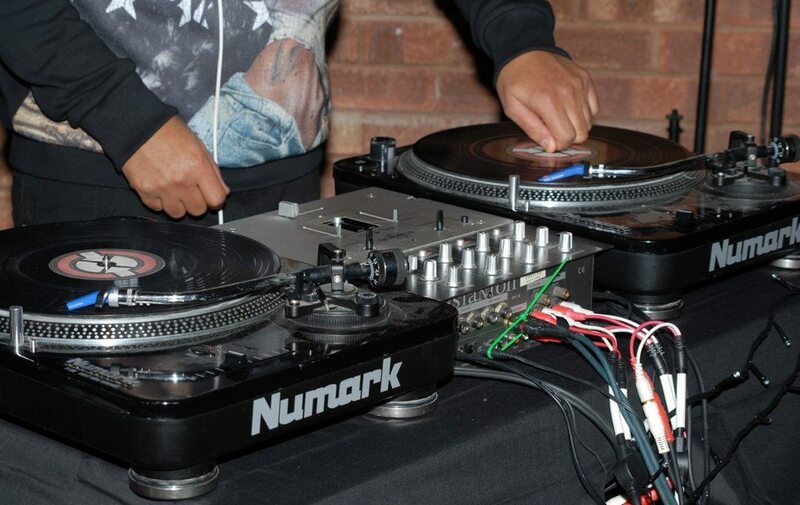 The classic DJ setup with two vinyl turntables and an analog mixer originated in 1970s and remained the club standard up until early 2000s. This is the kind of setup that still jumps into most people's minds when they think about DJs and DJing. If you had only one turntable, the dancefloor would have to wait in dead silence while you're changing the record after the current one ends. Having the second deck lets you preview the next track while a different tune is playing on the dancefloor. The mixer lets you route audio from the decks to the speakers and/or your headphones, as well as mix tracks together. Vinyl certainly has had its heyday but I would generally not recommend going with it these days. By today's standards, vinyl is insanely impractical. The records are heavy, expensive, and prone to physical wear. Also, things that are easy with digital, like sampling, loops, multiple cue points, are hard, if at all possible, on vinyl. You may be harboring romantic notions about vinyl being the "true" way to DJ, but - sorry to burst your bubble here - most pros have switched to more modern formats long ago, and the crowd on the dancefloor generally doesn't care what medium your music comes from. The one exception where I would still recommend going with vinyl is if you plan to do any serious scratching. No matter what you may hear about scratching being possible on controllers or CD decks, a vinyl turntable (possibly hooked up to a DVS) is still the way to do it on a pro level. By mid-2000s, CD decks started to push out vinyl turntables from DJ booths. While CDs had killed vinyl in the mainstream by 1990s, the DJs were slower to convert because of the superior control that vinyl gave them over how the music is played. Only with the advent of Pioneer CDJ-1000 with "vinyl mode" in 2001 did the CD become a truly viable alternative for the pros. The CD setup is very similar to the vinyl one, with two CD decks connected to an analog mixer. The decks let you play regular audio CDs, possibly with the addition of data CDs with MP3 files on them. 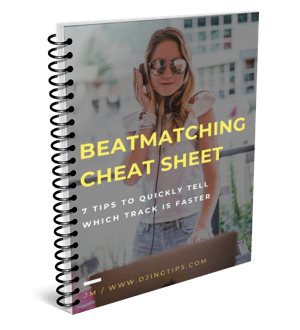 As a CD DJ, you normally download your music from online stores like iTunes or Google Play and then burn the tracks onto the CDs. Would I go with CDs nowadays? On the one hand, you could buy a pair of used CDJ-1000MK3s and a mixer, and that would get you two professional decks that would be quite close to the modern players you'll find in pro DJ booths today. Also, today's club standard decks (Pioneer CDJ-2000NXS2) are still capable of playing CDs, so you will feel right at home should Ibiza come calling. That's not to mention the countless pubs and bars with the older CD decks, too. On the other hand, burning CDs is quite a hassle, and CD DJing suffers from many of the same creative limitations as vinyl. With CDs, you just can't do much of the fun stuff that you can do with digital these days. 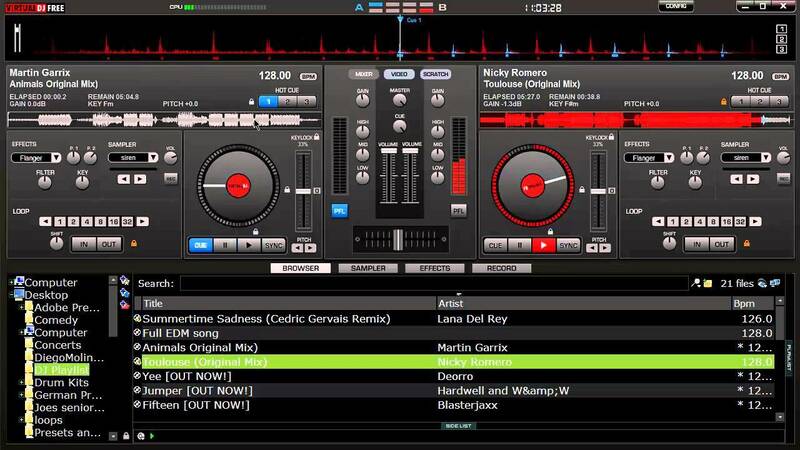 A screenshot of Virtual DJ. Note the two virtual decks and a mixer between them. Besides being the launch year for the CDJ-1000, 2001 was also the peak year for Napster. Napster was the first application of its kind that allowed users to freely share music in the then-new MP3 format over the Internet. As people began to pile up MP3s on their computers - some ripped from CDs, some downloaded on Napster - some of them started asking the question: "Can we not just listen to those MP3s, but also DJ with them?" It was not long after that first apps for computer DJing began to appear. (Virtual DJ can trace its roots back to that era, with version 1.0 released in 2003.) The software would display a pair of virtual decks and a mixer on your computer screen, and you could use your mouse and keyboard to load MP3s into the decks, start/pause the playback as well as work the faders and knobs on the virtual mixer. Unfortunately, trying to mix with your mouse or keyboard is the definition of masochism, especially when you need to be able to adjust two controls simultaneously. Also, since most computers come equipped with only one sound output, you had to buy another sound interface to get a separate output for your headphones. Software-only DJing never took off as a serious alternative to the other DJ setups, and, just to be clear, I wouldn't recommend it to anyone. However, software-only setups turned out to be an important proof of concept that ultimately gave life to modern-day controller DJing. More on that in part 2 of this post. Vinyl, CDs and software-only cover the history of DJ setups from 1970s to mid-2000s. Of those, vinyl and CDs are still alive and kicking (although not necessarily recommended anymore). In part 2 of this article, I'll be talking about DJ controllers, DVS and modern standalone digital decks. Stay tuned!